ARND ADJE BOTH, music archaeologist, is one of the initiators of the EMAP. In the frame of the project, he is the exhibition curator of ARCHÆOMUSICA and a representative of one of the co-organisers, the German Archaeological Institute, Berlin. Based at the Reiss-Engelhorn-Museen Mannheim between 2008 and 2012, he co-curated the music exhibition MusikWelten. Apart of that, he is chair of the ICTM Study Group on Music Archaeology, which is among the associated partners. 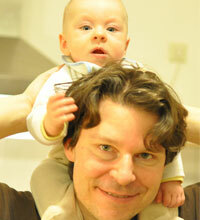 In 2012, he founded the publishing house Ekho Verlag.